Daltonganj is a town in the Indian state of Jharkhand. It is the headquarters of Palamu division and Palamu district, as well as the subdivision and block of the same name. The city is situated on the banks of the North Koel River. Daltonganj city is named after Colonel Edward Tuite Dalton (1815–1880), an anthropologist and the District commissioner of Chota Nagpur in 1861, during the British Raj who established this city . The Chero dynasty ruled this region for a long period. The most famous among Chero rulers was Raja Medini Rai. Palamau Fort and Shahpur Fort are major historical landmarks in this area. Daltonganj is located at 24.03°N 84.07°E﻿ / 24.03; 84.07. It has an average elevation of 215 m (705 ft). The famous Betla National Park is located about 26 km from the city. This park is well known for tigers, and comes under the Palamau Tiger Project. Another scenic picnic spot nearby is Kechki, located about 18 km from Daltonganj, at the cofluence of the Koel River and the Auranga River. Netarhat, a scenic plateau covered with thick forests, is also situated near Daltonganj. It is a popular summer resort known for its picturesque sunrise and sunset. IT Company PATH eSOLUTION is stating in 2012, situated at Jail Hata Road, Daltonganj . Daltonganj railway station is a railway station for Medininagar. Daltonganj is located 1,036 kilometres (644 mi) south east of New Delhi and is accessible by train to Daltonganj Railway station (DTO) from Lucknow, Patna, Ranchi, Kota, Bhopal Junction, Delhi, Jabalpur, Kolkata, Varanasi and Gaya. 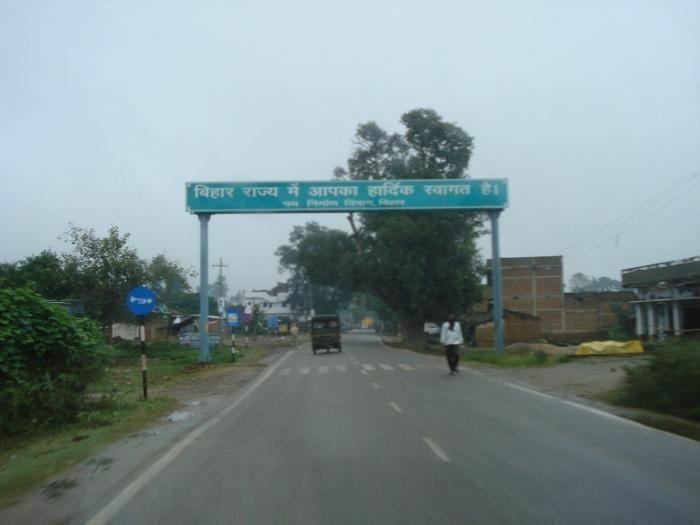 The nearest airport is 165 kilometres (103 mi) away in Ranchi. It has an airport in Chianki, used occasionally by visiting dignitaries. Daltonganj is well connected with Patna, Ranchi, Kolkata, Durgapur, Varanasi, Jamshedpur, Dhanbad, Delhi, Lucknow, Allahabad, Kota, Kanpur and Gaya etc. by road. As of 2014 India census, Daltonganj had a population of 619,972. Males constitute 53% of the population and females 47%. Daltonganj has an average literacy rate of 90%, higher than the national average of 74.04%: male literacy is 81% and, female literacy is 80%. In Daltonganj, 13% of the population is under 6 years of age. The government run hospital in the area is the Sadar hospital.Sadar hospital has now become a better and modern hospital with best facilities. People are usually very less referred to nearby cities like Ranchi or Patna for better care but Daltonganj Sadar hospital now takes better care of patients. There are a few private hospitals in the area for primary health care. Daltonganj has a humid subtropical climate (Köppen climate classification Cwa). Major Hindu and Muslim festivals are celebrated in Daltonganj. Hindus and Muslims celebrate muharram and chhath together. The town is the seat of the Roman Catholic Diocese of Daltonganj. The town has several societies, clubs, and NGOs including Palamau Club, Rotary Club and Rida Foundation. Vishnu Mandir is a temple situated in the heart of Daltonganj. It was built by Vishnu Sahu in 1936. Hanuman Mandir is a temple situated in the center of Daltonganj main market. Many people come here to worship Hanuman on Tuesday and Saturday. There is a sweet shop inside this temple where people can buy prasad. The whole street is called Mahabir Mandir Road. Kali Mandir is a very old and famous temple situated in the center of Daltonganj Redma Chauk. Just hundred meter from the main chock, this temple draws devotees and visitors from surrounding and far areas. Many people come here to Poojan specially on Tuesday and Saturday. There is a Prasad shop (Nariyal) inside this temple where people can buy prasad. The whole street is called Kali Mandir By pass Road Daltonganj. Urdu Library (Badi Masjid Road, Chhah Muhan Chowk). M.K. DAV Public School,Chianki, Daltonganj. Heritage International School, Chianki, Daltonganj.